Category: Religion and Spirituality Tags: celtic, celtic symbolism, colouring, colouring for meditation. Discover the magic and mystery of Celtic symbolism with this superb colouring book – to help you unwind and discover inspiration and healing. Viewed as the key to self-knowledge and inner peace in Eastern traditions, a mandala is a symbolic spiritual image which, when meditated on, can lead to profound and long-lasting personal transformation. 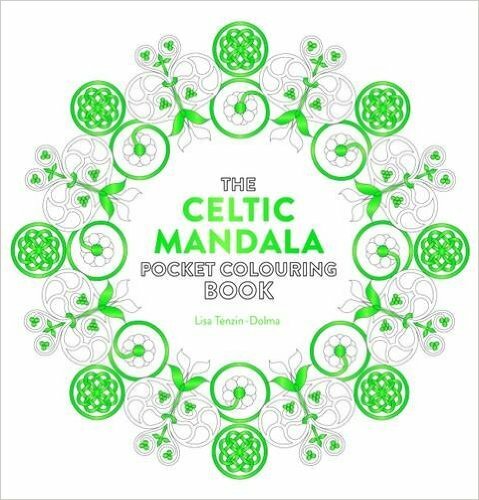 Bringing together the deeply spiritual symbolism of the Celts with the healing power of mandala, this collection of beautiful, intricate artworks for you to colour in ¬¬– from plants and animals, myths and legends, to the earth, the elements and the cosmos – is perfect for engaging in mindful meditation. Featuring specially commissioned mandala designs such as the Endless Knot, the Celtic Cross, Dragon Power and the Seven Spirals, this unique colouring book combines creativity with contemplation to help ease stress and anxiety, still the mind and regain your personal balance.